Programme to include Vitava by Smetana, The Severn Suite by Elgar, Suite from the ballet Swan Lake by Tchaikovsky, and of course Handel’s Water Music. COSI – The Chamber Orchestra of St Ives. We are so fortunate in St Ives to have our own very talented group of musicians, COSI, the Chamber Orchestra of St Ives. COSI’s inaugural concert was ‘Words and Music for a Summer Evening’ for the St Ives Music and Arts festival 2004 and since then have performed works ranging from traditional chamber music to popular classics to lively ‘Last Night at the Proms’ style concerts, often in association with FESt (Festival Events St Ives). 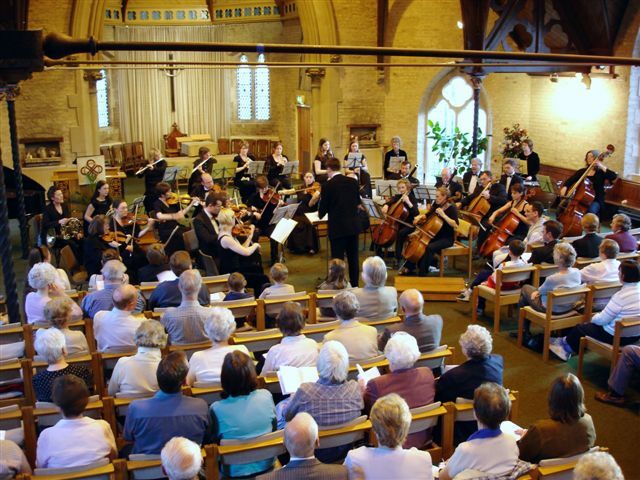 So FESt are very happy that their first event for 2015 should be supporting the Chamber Orchestra of St Ives. Thank you to The St Ives Town Council for their sponsorship of this event. Tickets are £8, Under 16s £5, to include refreshments, from Just Sharing shop in the Free Church, or 01480 300963, or on the night.